The Low-Down: Trulia Is Building An Encyclopedia of Neighborhoods. Who Gets To Say They're Right or Wrong? Trulia Is Building An Encyclopedia of Neighborhoods. Who Gets To Say They're Right or Wrong? Three-quarters of Trulia customers said they were having trouble finding neighborhood information in one place. Trulia's Neighborhoods feature, the company claims, is the first product “to give consumers an authentic feel for everyday life in a neighborhood.” Not just a neighborhood: Every neighborhood in every American city. What does it mean that a website built to help people sell homes is appointing itself the librarian of American neighborhoods? Google claims to organize the world’s information, but it hasn’t quite figured out neighborhood names. In Detroit, for example, the mapping giant appears to have scraped its names (typos and all) from one 2003 map by a grassroots organization. Now those names are everywhere. Other sites haven’t done much better. Airbnb Neighborhoods, which went live in 2012, has also been a spotty effort. Bushwick, the Brooklyn neighborhood of hipsters and Latino immigrants, was at one point labeled “unwashed and unfiltered.” (Now it’s hard-working and unfiltered.) The Upper West Side is “Impeccable. Immaculate. Inimitable.” What does that even mean? In New York, one of 23 cities where the popular home-sharing website has tackled neighborhoods, it simply didn’t include anything in the Bronx. Even the home-selling database Zillow sometimes refers to neighborhoods in ways that don’t make any sense. A new competitor entered the market: Zillow subsidiary Trulia. 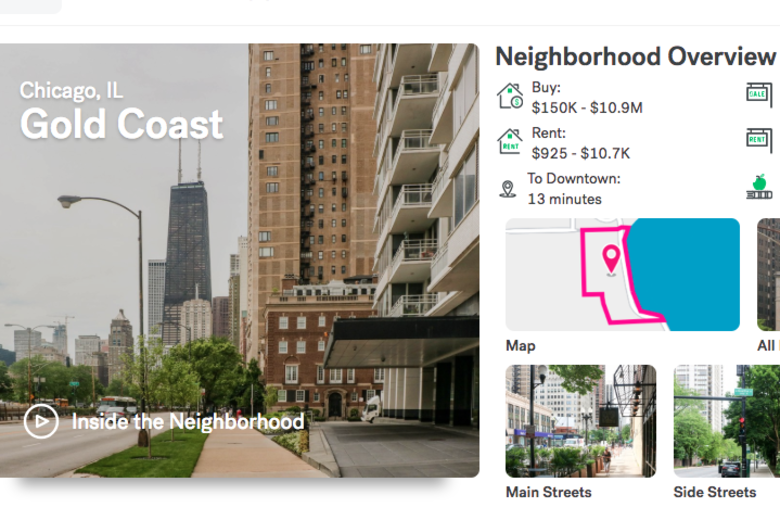 Its new Trulia Neighborhoods feature, the company claims, is the first product “to give consumers an authentic feel for everyday life in a neighborhood.” Not just a neighborhood: Every neighborhood in every American city. Still, crowd-sourcing the geography of American neighborhoods online will probably also reveal some biases, if other studies of digital databases are any guide. Research shows, for example, that online review platforms tend to attract polarized viewpoints, leaving lots of very positive and negative reviews but few middle-of-the-road opinions. Could the same be true of neighborhoods? Does it matter if every post-war subdivision outside Orlando doesn’t have its own architectural profile or neighborhood testimonials? More worrisome, for a crowd-sourced neighborhood database, are racial biases in online reviews. In a study of Yelp reviews of restaurants in two gentrifying Brooklyn neighborhoods, historically Polish Greenpoint and historically black Bedford-Stuyvesant, the sociologist Sharon Zukin observed that reviewers assessed businesses in sharply different terms. In the former area, they worried about the transition of Greenpoint and savored its older establishments. In largely black Bed-Stuy, by contrast, black-owned restaurants were viewed negatively and with none of the white neighborhood’s nostalgia. It’s not just restaurants: In a 2016 study published in the Journal of Experimental Psychology, researchers had participants view a home for sale. Some participants saw a photo of the current occupants as a black family; others were shown a photo of a similarly dressed white family. Participants who thought they were looking at a black-owned home assumed the neighborhood was more dangerous, with worse schools and city services. Anyone attempting a crowd-sourced database of American neighborhoods, which remain sharply segregated by race, will wind up confronting those effects.